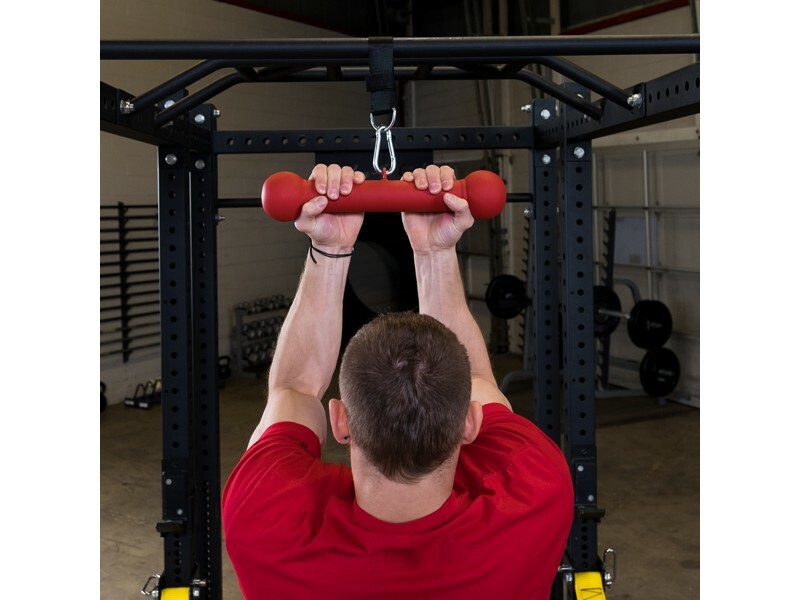 Attach this extra-thick "dog bone" attachment to any type of cable machine or weights. With the included carabiner, or your own, attach it to your lat machine or cable crossover machine to do pull downs, curls, pressdowns and rows. Add the straps and you can loop them through grip plates, dumbbells, kettlebells, and even over a pull-up bar.